This year’s Christmas card theme was crackers. Well, cracker jokes more specifically. 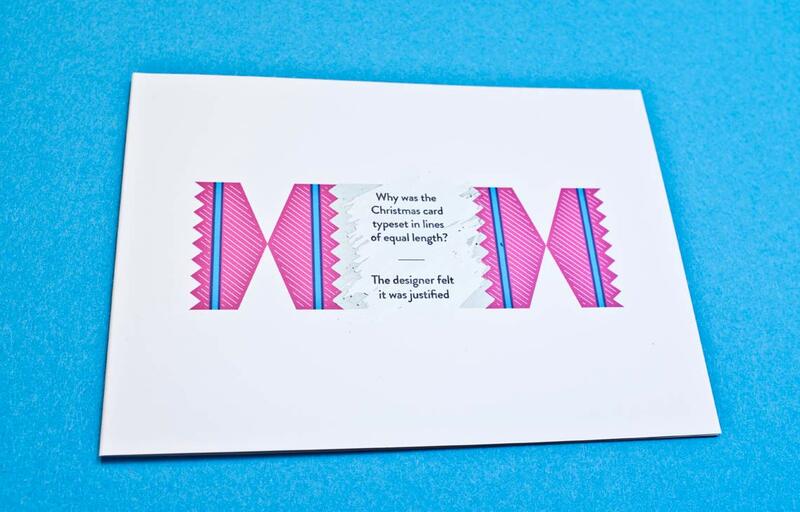 The idea started out as a celebration of the endearing naffness of the traditional Christmas cracker but it took on a graphic design twist as we began thinking how we could make it into a humourous item that links into what we do, while steering clear of designer in-joke territory. 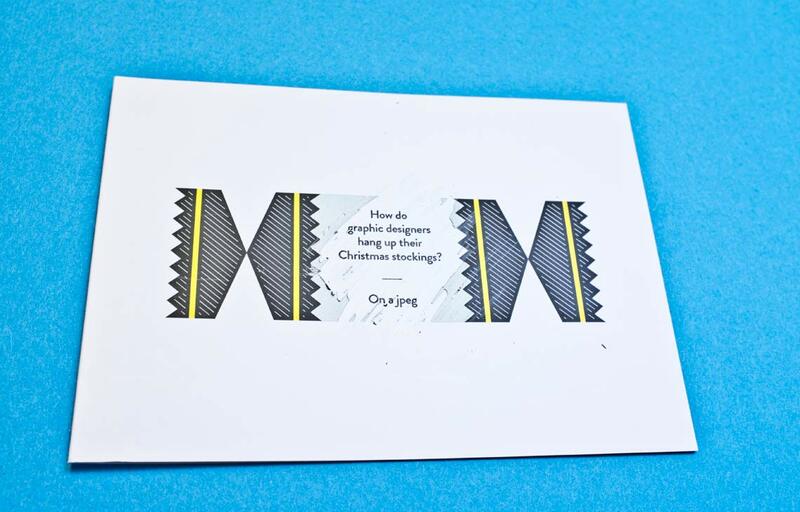 Our eventual solution was to simulate the opening of a cracker with scratch-off ink, revealing one of four different graphic design themed cracker jokes. 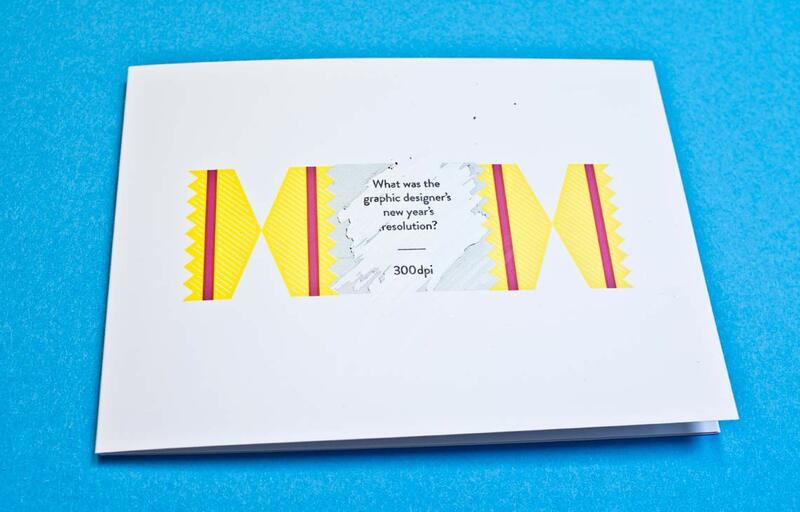 To continue the design theme, the cracker designs were coloured in cyan, magenta and yellow, respectively and featured a matching illustrated cracker toy on the inside-front. We had great fun coming up with the jokes, so much so that we had several left over that didn’t make the cut. They, together with the four that did, can be seen below.